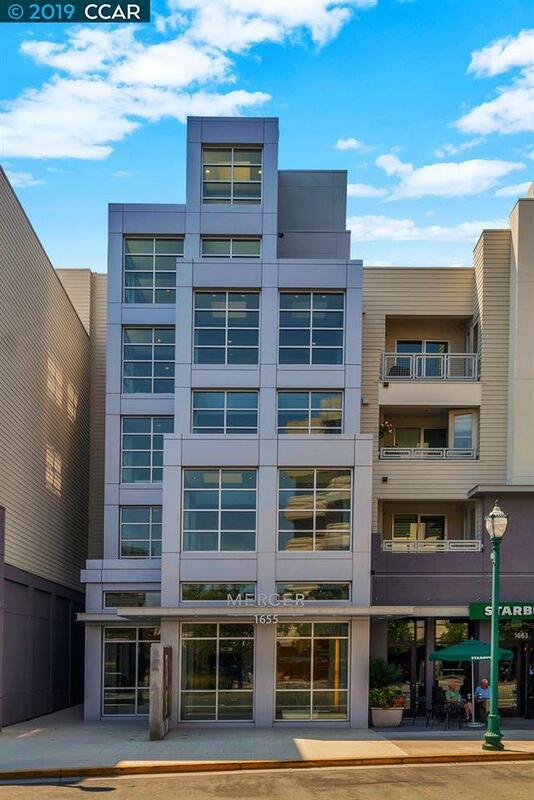 Welcome to this stunning newer 2 bedroom, 2 full bath Mercer condominium--just an easy 1/2 block walk to the WC BART station in the heart of downtown Walnut Creek. This unit has a long view across the huge inner courtyard of the pool which gives this condo extra privacy. It is in exceptional condition with newer designer carpets and newer interior paint. The kitchen features a gas range and Subzero/Bosch stainless steel appliances. There's a full size washer and dryer in the laundry room, and there are 3 deeded parking spaces. This is a modern sleek space in a thriving urban setting. Amazing complex amenities include: lap-pool, concierge (M-F), gym and a large media room for big gatherings.